It's been another busy week at Gravelmap. In addition to adding a number of new features and fixing a bug or two, our route database has nearly doubled in size to 537 miles (or 864 kilometers, if you prefer), thanks to new users from Minnesota, Pennsylvania, Maryland, Oregon and beyond. 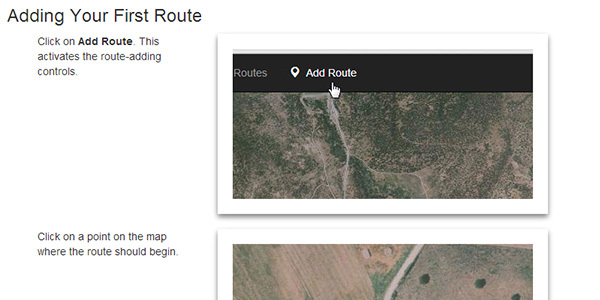 Route listings in various places across the site have been revamped with a more informative format. 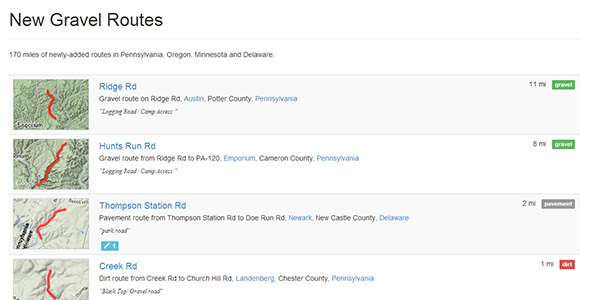 In addition to the route's title, start and end locations and description, the listings also include a thumbnail view of the route. 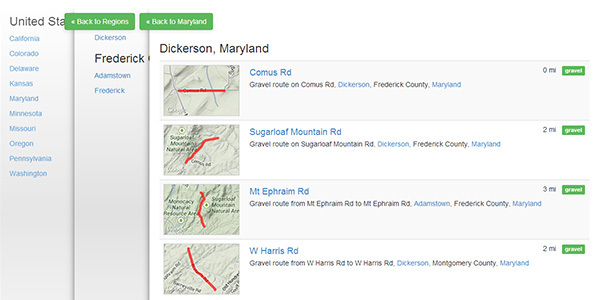 The Newest Routes page lists the most recent routes added to the site. It's a simple way to see what others are adding and look out for new routes in your area. It may not seem like a big deal, but both the Help and About pages now have actual content instead of single-line placeholders. The Help page contains a basic overview and guidelines for adding new routes, while the About page contains some information on the site, the philosophy behind it, as well as the Obligatory Legal Prattling section. In addition to fixing bugs as they are found, we have a couple of larger features and enhancements in store. In the meantime, please help us by reporting any suggestions or problems using the Feedback button in the header, or via email to info at gravelmap.com. The site is now in its third week of operation. Our route database is growing daily, but we need your help. Please don't hesitate to tell your friends about the site, especially those in areas where we don't have any route data. With your help, we can keep spreading the ability to find the roads less traveled.